While we continue to wait for LeBron James' turn in a Space Jam sequel, Tony Hawk has alerted us to another Looney Tunes crossover that could've been. Over the weekend, the skateboarding icon revealed that he spoke with Warner Bros. to discuss work on a skateboarding themed Space Jam sequel. "In 2003, I was requested to meet with Warner Brothers about doing a film tentatively titled Skate Jam," he recalled. "They were bringing back Looney Tunes with Back In Action & then wanted to start on my project immediately. A week later Back in Action bombed & Skate Jam was shelved forever." 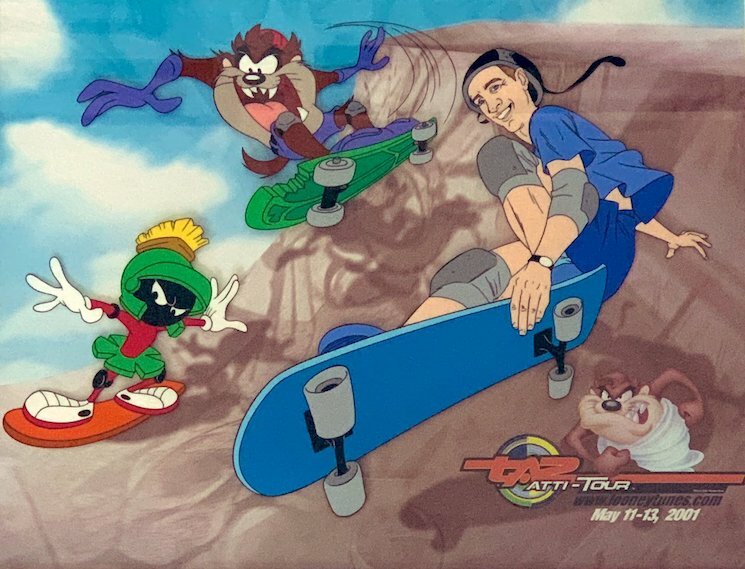 Sadly, it's probably far too late for Warner to kick the project back into gear, although we'd love to see a modern Space Jam skateboarding movie starring Jamie Foy. Until that dream comes true, you can peep the production art above [via Hawk's Twitter].